The documentary shows how Marshall Plan-type study tours can help developing economies today, around the globe. 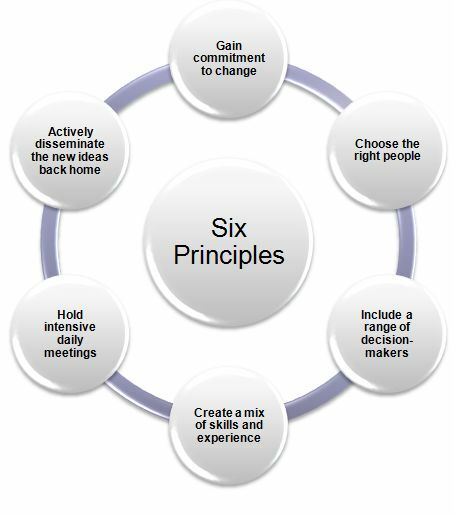 The documentary refers to six principles for organizing effective study tours. We have consistently used these for our study tours. Principle 1: Gain commitment to change: The group of proposed participants have expressed and demonstrated on repeated occasions their deep commitment to rethink the land survey and property registration framework in terms of accrued social justice and tenure security, improved cooperation among land administrations, reduced corruption, cost-effectiveness, and higher quality of data. Principle 2: Choose the right people: The proposed participants represent the senior management of the key government institutions involved in land survey, property registration and land dispute resolution in Afghanistan. They are known for their leadership in mainstreaming cultural changes needed to achieve the goals of improved land information system. Principle 3: Include a range of decision-makers: The proposed participants are leaders within the Afghan public administration and education sectors. Principle 4: Create a mix of skills and experience: The proposed group includes lawyers, judges, surveyors, urban planners, administrators, who are facing land issues on a daily basis but from different perspectives. This mix of skills and experience is therefore expected to enliven the discussions by highlighting the multifaceted aspects of land property registration. Principle 5: Hold intensive daily meetings: Throughout the study tour, the group of participants will hold daily meetings to review the major findings of the day and share their views about their applicability in Afghanistan. Minutes of each visit will be drafted, discussed among the participants and finally compiled into a back-to-office report. Principle 6: Actively disseminate the new ideas back home: After completion of the study tour, a debriefing workshop extended to those organizations and other key individuals which have not taken part to the study tour, will be organized in Kabul. During this workshop, the representative of each participating institution will share his/her impressions with the audience and will present its views about the applicability of certain ideas in Afghanistan. Ultimately, a road map towards an improved land information system for Afghanistan will be established and agreed upon by the participants.